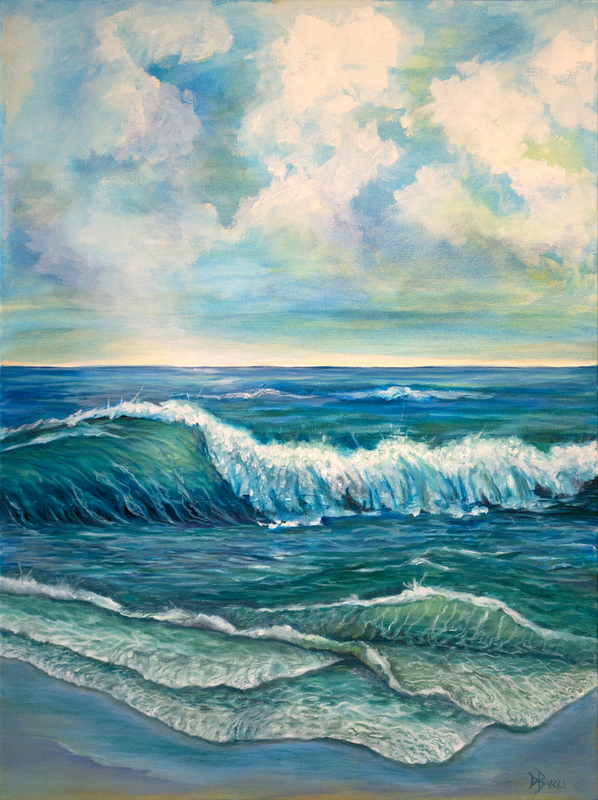 Deb's thoughts: I have been overtaken with the coastal color palette and everything is coming out blues and greens. Light streaming out of the clouds and sparkling off the water...so sweet! This one would look amazing paired with "Where the Sky Meets the Ocean". The sides are painted so framing is not needed. Art is finished with museum quality varnish and ships ready to hang.